Andrew Marr discusses Chinese culture and thought from Confucius to Mao and beyond with Xinran, Julia Lovell, David KS Tse and Roel Sterckx. The Chinese journalist and activist Xinran tells the story of China since the start of the 20th century through four generations of one family. She tells Andrew Marr how the family lived through enormous social upheaval, and reveals how traditional values started to unravel with the tide of modernity. The academic Roel Sterckx looks back beyond the last century to ancient Chinese philosophers and thinkers. He argues that in order to understand modern China we need to understand its past. The practice of power, government and social harmony has a long tradition. It is seventy years since Mao founded the People’s Republic of China and Julia Lovell re-evaluates Mao's philosophy both at home and abroad. 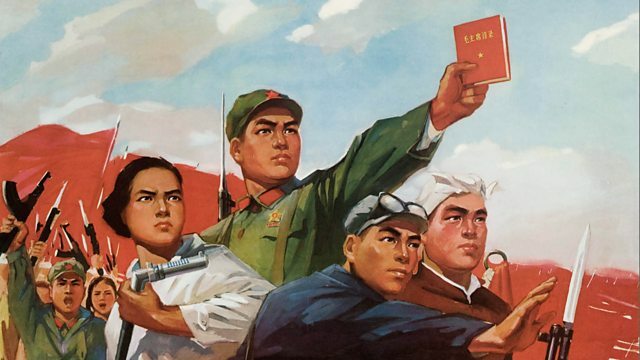 For decades Maoism has been dismissed in the West as an outdated historical and political phenomenon, and yet his ideas remain central to China’s Communist government - and continue to influence people around the world. Not only Chinese ideas have spread throughout the globe: the latest play from director David K S Tse is based on the lives of Chinese people who moved to the UK. From Shore to Shore is staged in Chinese takeaways around the country and blends English, Mandarin and Cantonese, to tell the story of three journeys to find a home. Roel Sterckx is the Joseph Needham Professor of Chinese History, Science and Civilization at the University of Cambridge and Fellow of Clare College. He is a sinologist specializing in the cultural history, religion and thought of pre-imperial and early imperial China as well as the classical and literary Chinese language. Chinese Thought: From Confucius to Cook Ding is published by Pelican on 28th March 2019. Xinran was the host, in China, of the ground-breaking radio show ‘Thoughts on the Night Breeze’ which invited women from across the country to discuss their issues in a frank and open setting. Her first book, The Good Women of China, was based on her radio show , published in 2002 and has been translated into more than 30 languages. Xinran's latest book The Promise: Love and Loss in Modern China is available now, published by I.B. Tauris. Julia Lovell is Professor of Modern China at Birkbeck College, University of London. Her two most recent books are The Great Wall and The Opium War. She has translated many modern Chinese novels into English. MAOISM - A Global History by Julia Lovell is published by Vintage on 14th March 2019. David Tse is a British Chinese actor, writer and director based in London and Hong Kong. He was the founding Artistic Director of the Yellow Earth Theatre, then became the founder-Creative Director of Chinese Arts Space (which became Chinese Arts Now). From Shore to Shore will be staged in Chinese restaurants in the North of England and Midlands until 6th April 2019.